Oh, Apple. 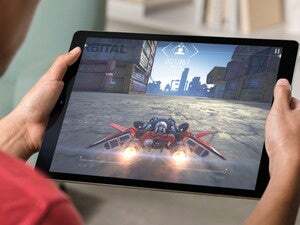 With just one day to go until its big media event, the company leaked images of its own new products on iTunes: It looks like the big announcements will be an iPad Air 2 and iPad mini 3 with Touch ID. Apple posted this screenshot of new iPads a day before its media event. 9to5Mac first noticed screenshots of the new tablets appeared Wednesday in the iBookstore for Apple’s iPad User Guide for iOS 8.1 ebook. As you can see, the tablets look the same as their predecessors, but are now equipped with fingerprint sensors. No pricing information was included in the guide (in fact, if you download the actual ebook, the new iPads aren’t mentioned at all), but one of the screenshots notes that the iPad Air 2 will be able to shoot photos in burst mode. The leaked images appeared in the midst of a major mobile news day: Samsung Galaxy Note 4 reviews dropped and Google revealed its new Nexus 6 smartphone. And while Apple leaks are common, it’s uncharacteristic for the company to give away its own surprises. Is this a savvy play on Apple’s part to turn attention back to its products, or an accidental slip?